As our kids keep growing, so to do our bikes! 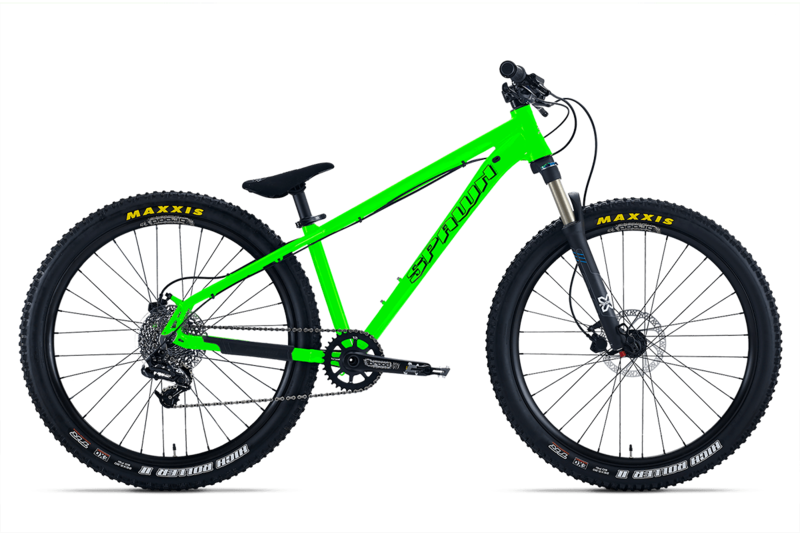 The Spawn Cycles 26” Yama Jama is a sweet, shredworthy 26” hardtail trail bike for the average size 10-14 year old or even smaller adults looking for a legit ride with smaller wheels. It all starts with a 6061-T6 alloy frame using hydroformed and double butted tubing, with internal gusseting, a semi-integrated head tube, a unique forged one-piece BB shell/yoke for added stiffness, ISCG-05 tabs and even an internal routing option for dropper posts. 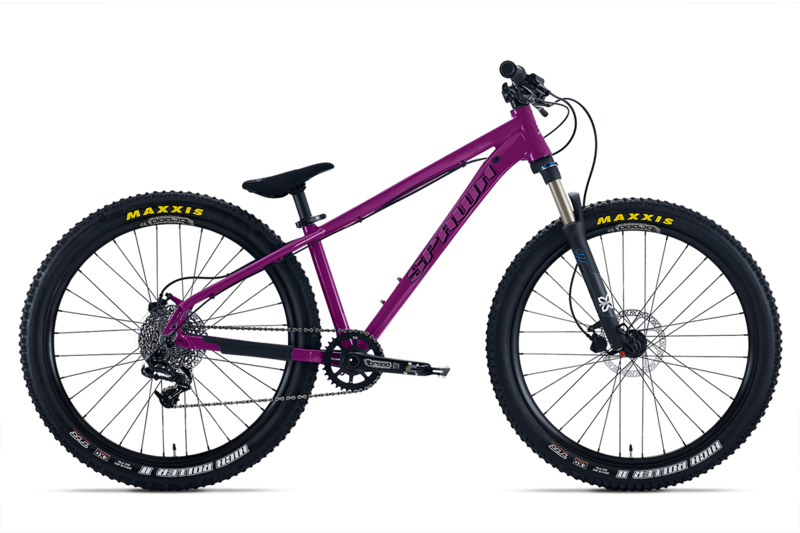 We’ve partnered with X-Fusion to have their adult Velvet cross country fork customized with 100mm travel and a specific tune for junior riders. The drivetrain starts with the Brood Bike Co. Styx 160mm crank using a SRAM type direct mount interface for the chainwheel and a sealed external bottom bracket. We add a Brood 34t narrow-wide alloy chainwheel and then utilized a SRAM GX derailleur and shifter combo to get things moving to the 11-36T 10 speed SRAM cassette. Stopping is handled by powerful Tektro AURIGA hydraulic discs. The 26” Yama Jama uses Brood tubeless ready rims with a wide profile and tops it off with Maxxis High Roller II 26X2.30 foldable, tubeless ready tires. Touch points matter for kids too, so we’ve topped this Yama Jama off with Brood Tenderiderz lock ons and the Brood Throne seat with a unique Pivotal mechanism that provides fore/aft adjustment. 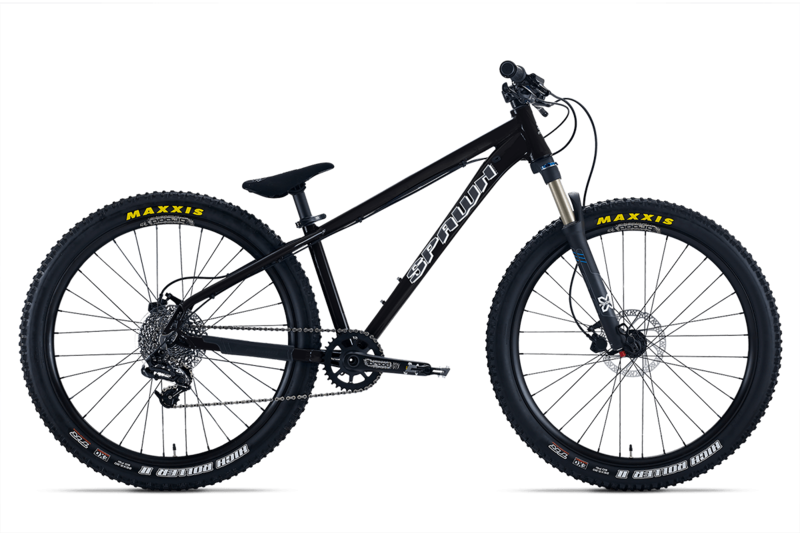 The 26” Yama Jama is built for those that are growing up quick!